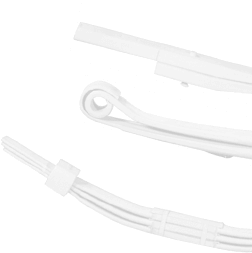 Our Parabolic Springs are a result of engineering excellence and advanced manufacturing. Produced using only true parabolic tapering sequences with strict tolerance, they offer unparalleled load carrying capacity. To enable ease of mounting, special attention is given to maintain dimensional accuracy of the spring eyes. The centre holes of the centre bolt are scientifically shaped to keep typical parabolic high tensile forces in control. Minimum inter-leaf friction and contact, not only improves the ride characteristics but also enables the use of more durable corrosion protection. The leaves are painted on all sides using zinc rich primer and a coat of special paint. We have an in-house quality controlled assembly line where we can build our regular series and custom-built versions to suit our customers' needs. Our Multi-leaf springs our uniquely designed to provide support, stability and safety to a vehicle and are superlative among the vehicle springs. 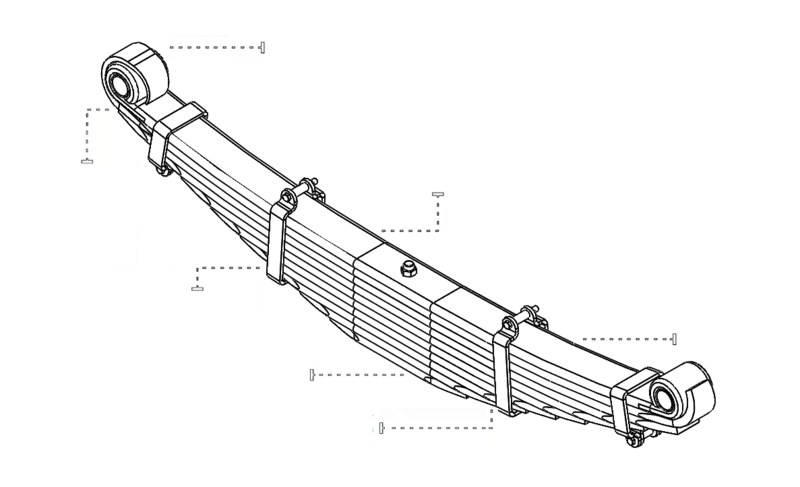 Our multi-leaf springs come in variable width whilst maintaining its thickness. 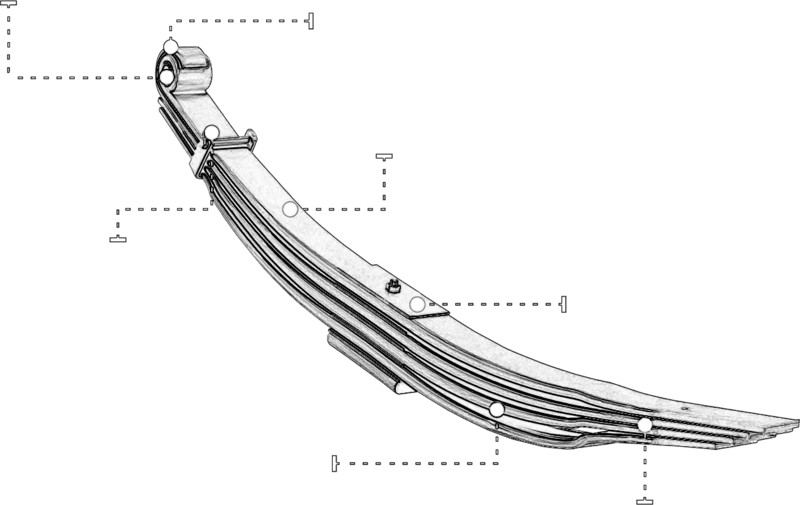 The springs consist of a main plate and several supporting leaves, which carry proportional amount of load, to provide support to the vehicle. Steel used: EN45A, SUP9, SUP11A, SAE5160.